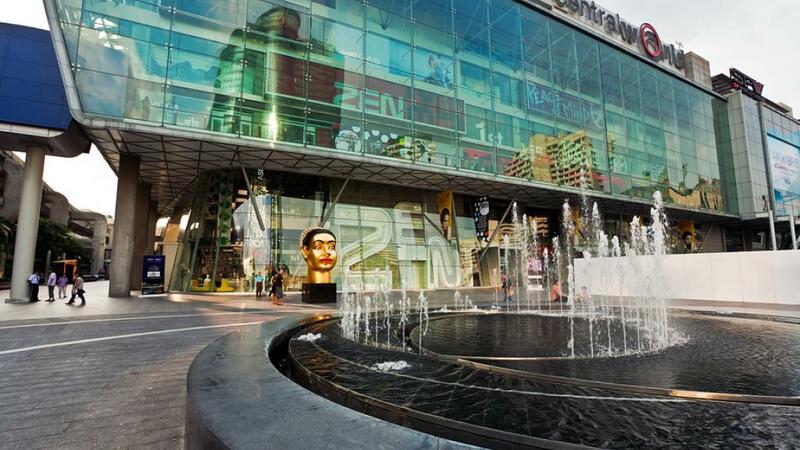 Located right in the heart of the shopping district with direct access to the Skytrain, Central World Plaza is much more than a mall and offers an exciting and unique shopping experience. An emphasis on natural light and open space, the shopping mall allows shoppers to scope a number of storefronts with a single glance and as all eagle-eyed shoppers know, this is imperative when it comes to maximising the amount of shopping time in your day. The mall features its own accommodation with the Centara Grand at Central World luxury resort, however, there are also a number of nearby accommodation options that offer all the convenience of being close to the shops without the luxury price tag including the Amari Watergate, just a short stroll away. Measuring 830,000 sqm, Central World Plaza boasts an unbelievable retail area measuring a total of 550,000 sqm complete with 500 shops, 100 dining options, 15 cinemas, two mega department stores, outdoor square event area, kids area and much more. The biggest shopping centre in central Bangkok, Central World Plaza is 30 per cent bigger than any other mall and focuses on a youthful, urban lifestyle for teens and families. Offering everything from funky fashion and stylish boutiques to beauty salons, designer furniture, high tech stores, bookshops and imported groceries, Central World Plaza also boasts an amazing 13-floor health and fitness facility complete with beauty centre, spa, yoga, gym and more. With specialty ‘anchor’ stores that measure between 2,000 and 8,200 sqm, it’s easy to spend a whole day here. There is also a 15-screen cinema and ice skating rink for when you need a break from shopping – yeah right!